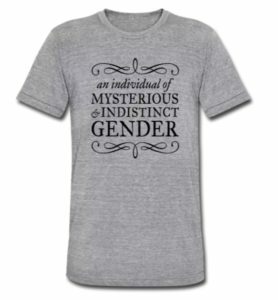 Failbetter games, makers of online games Fallen London and Sunless sea has a series of gender neutral shirts. Their store is awkward to navigate as they demand you choose EU or US stores. And if you use the code HEAT16, you’ll get 15% off until 11th August! Buy shirts at the Failbetter online shop.